What is Going for Growth? 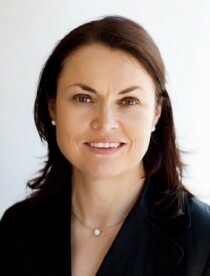 Fiona O’ Carroll is a senior International executive with a 25-year track record of achievement in a variety of leadership roles including; COO, Chief Digital Officer, VP Marketing, GM in Tech, Retail, Consumer Goods, Education, Media, Computer Gaming sectors. She is a recognised international expert in delivering accelerated revenue growth and transformational change agendas primarily through empowering customers and enhancing brand’s relationships with its customers via digital technologies and platforms. Fiona is a system thinker and strategic doer, with a consistent track record of scaling international businesses and achieving challenging financial and operational performance metrics. She has wide-ranging functional and general management experience, including P&L responsibility, with blue-chip multi-nationals (Houghton Mifflin Harcourt, Vivendi Universal, Adobe), domestic market-leaders (INM) and high growth SME’s (Gifts Direct, The Irish Store).Fiona has a passion for building and leading high-performance teams through growth stage and transformational change, clearly aligned with company culture and mission. Fiona’s has extensive expertise in Strategic Execution, Digital Transformation, Revenue, Generation, Marketing, eCommerce, and BrandingDigital Platforms, Brand Development and Customer Experience.